The Chinese Crested has a contentious and ambiguous history that has been obscured over time. What is known is the breed was carried by Chinese trading ships as early as 1500, but began to appear with more regularity in the 19th century. The distinguishing feature of the Crested is their hairlessness, which is believed to be the result of crossbreeding with the Xoloitzcuintli at some point in the past. Chinese Crested can come in either a Hairless variety, which is the dominant genetic variation, or Powderpuff, with long hair covering the entire body, which is the recessive genetic variation. This is a small sized breed weighing only 8-12 lbs., and standing 11-13 inches. Since their acceptance to the AKC in 1991, the Chinese Crested has experienced a significant growth in ownership and interest in the United States. The Chinese Crested is known as an affectionate, gentle, and attentive companion dog. They bond very strongly with their owner but can be shy towards strangers without proper socialization. The Chinese Crested takes well to canine training. They are intuitive towards their owner’s wishes and are eager to please. They should be trained and socialized from a young age, so as to avoid any shyness or mischievous behavior. Cresteds will need a moderate amount of exercise on a daily basis. This can take the form of walks, play in a securely fenced yard, or a training session. The Chinese Crested breed can live anywhere from 13-18 years. The Chinese Crested is the 77th most popular AKC registered dog breed. The Chinese Crested is a small sized breed that is particularly prone towards overfeeding. It is recommended to split their daily food allotment into two even meals, rather than leaving food out for them. Choose a high-quality food source that is appropriate for small sized breeds, and contains no grain based fillers. 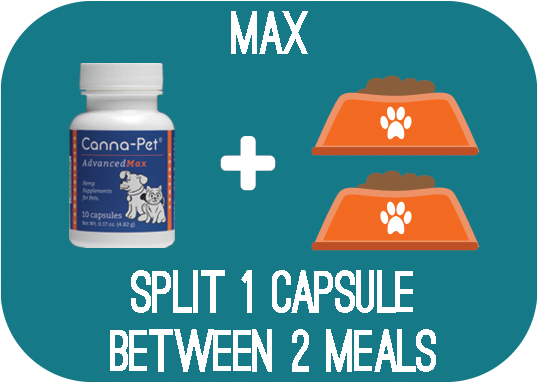 An average sized Chinese Crested will need to be fed between 2/3 and ¾ cups of food per day. The Chinese Crested has fairly high grooming requirements. Hairless varieties will need to be brushed 2-3 times per week with a pin brush and bathed every 1 to 2 weeks. Powderpuff varieties will need to be brushed every 2-3 days to minimize matting. Are Chinese Cresteds Good With Kids? The Chinese Crested is a loving and affectionate breed that loves to play with children. Due to their size, play with young children should be supervised and children should be taught to not be rough. Patellar luxation in dogs is a condition where the kneecap (patella) can easily become dislocated during activity. This condition predominantly affects miniature and teacup varieties of dogs. Signs of patellar luxation are the sudden onset of limping during exercise, shaking of a limb, or a reluctance to put full weight on a limb. Patellar luxation is a painful condition that should be treated by a veterinarian immediately. PRA is a condition where the cells of the retina responsible for receiving light degenerate over time. As the photoreceptor cells deteriorate, your dog may have difficulty seeing objects in low or dim light. Although this degeneration occurs slowly, it is irreversible and will lead to full loss of vision. PRA is an inherited condition, so care should be exercised when selecting a breeder to ensure that PRA isn’t present in their line. With PLL, the fibers that support the lens of the eye breakdown, causing the lens to fall into an irregular position. Once the lens is displaced from its normal position (luxates), it quickly leads to canine glaucoma which raises the internal pressure of the eye. This condition is painful and very quickly leads to full loss of vision. PLL affects dogs bilaterally, meaning that it will occur in both eyes. PLL appears in many dog breeds, but the Chinese Crested is known to be more susceptible to inheriting this condition. PLL is genetically inherited, so be sure to check with your breeder prior to adoption to ensure that PLL has never appeared in your pups line. The Chinese Crested is particularly prone towards developing sunburns. This is especially true for the Hairless variety, as they don’t have the protective layer of hair covering their body. Be very careful to limit your Cresteds exposure to the sun. Chinese Crested puppies should be monitored closely for any signs of a sunburn, as this is a painful condition that can occur rapidly.